This cereal is described on the box as "lightly sweetened whole grain flakes with honey clusters." 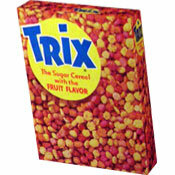 In 2019, the back of the box described the cereal like this: "The Tasty Way To Fiber. Delicious flakes with honey clusters, brown sugar, and toasted oats. All the flavors you love with the benefits of fiber!" The first 8 ingredients listed on the nutrition panel are whole grain wheat, oat cluster, corn bran, sugar, whole grain rice, wheat bran, corn syrup and honey. 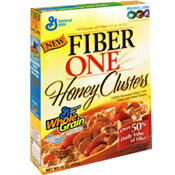 What do you think of Fiber One - Honey Clusters? Love the product. Ate it for years. Now our local grocery stores (Publix, Walmart, Winn Dixie and Target) do not carry this brand with Honey Clusters. So sad. I don't want to order a case because it would go stale before I got it eaten. 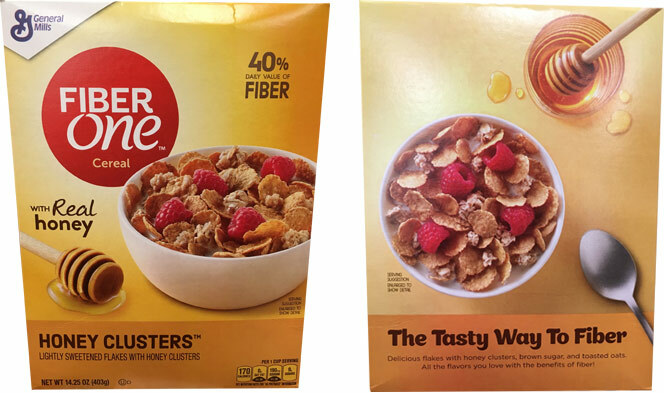 Best tasting high fiber cereal I've tried. This is General Mills' replacement for Honey Nut Clusters that they discontinued in 2008/2009 and I tried it once and am not at all a fan of it. They took away once of my 2 favorite cereals they made (the other being Rasin Nut Bran) and replaced it with something that tastes bad and something I won't buy again. Quite good! And very good for you.